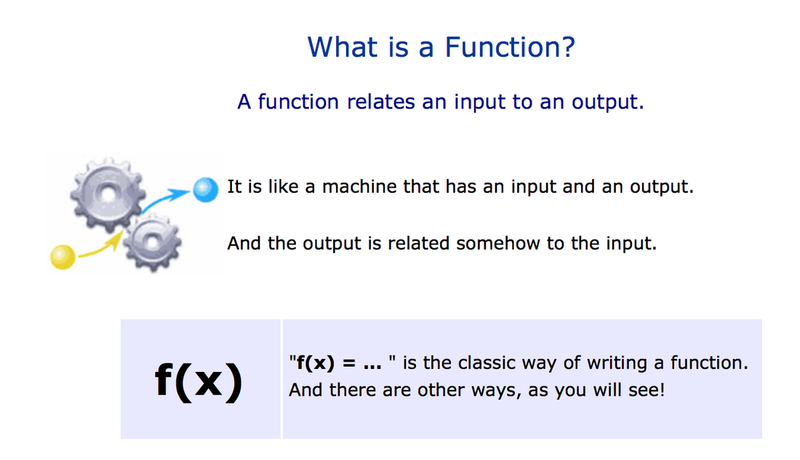 8.F.1 - Functions, Inputs and Outputs - Understand that a function is a rule that assigns to each input exactly one output. The graph of a function is the set of ordered pairs consisting of an input and the corresponding output. Remember doing those "in-out machines" when you were younger? Remember when you were given a rule and had to come up with the Out after they gave you the "In"? Well, that is what we will be doing here. However, we are going to make things a bit "harder" than you may have remembered them in the past. We will have to put numbers in, get numbers out, graph them, look at graphs to figure out the rule, and more. A GREAT website to tell you about functions is mathisfun.com. Click on the image to the left to take you to the site, and you can read more about what functions are. This sort video talks about the basics of functions, inputs, and outputs. You see what makes a function. 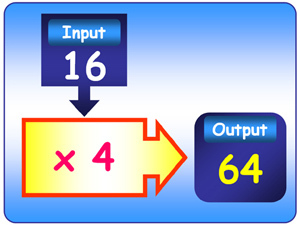 In this video you start to see the concepts of 1-to-1, which means that every input has one output. I the relation is not 1:1, then it is not a function. Here's a funny little video about function machines and how they might work in "real life" scenarios. 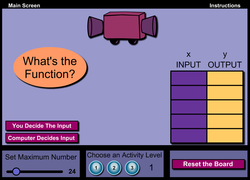 Math Playground is a great place to start practicing how a function machine works and how the in-out process goes. This might be something that you already know how to do, but at the same time, it is a great way to review the concepts and start to understand what we are covering. Things will get harder here as we go through this standard, but this lets you know how linear functions work.